Popular TV host Manish Paul is set to make a crucial shift from the small to the big screen with Bollywood film "Mickey Virus". He says he is ready for all kinds of comparisons with his contemporaries. "Comparisons will happen, but we all are friends. All of us have come from television, so comparisons are bound to happen," the 31-year-old said here Thursday at the first look launch of his film. "But we call up each other and joke about it. No one has taken anything to heart and we all are ready for comparisons," he added. In recent times, actors like Ayushmann Khurrana and Sushant Singh Rajput made a successful transition from TV to films, while daily soap actor Barun Sobti is set to make his debut with "Main Aur Mr. Riight". 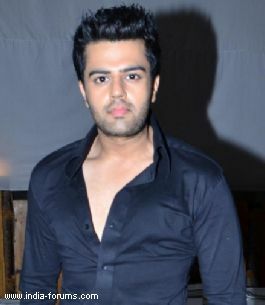 Manish has anchored a lot of TV reality shows, and currently he is seen as a host of "Jhalak Dikkhla Jaa 6". He says his anchoring skills made it slightly tough for him to act in front of the camera for the movie. "I am a host and I'm used to talking looking at the camera. Sometimes while saying the dialogues, I turned towards the camera. This was a problem, but Saurabh sir (director Saurabh Verma) helped me. The host factor used to reflect at times in my dialogues and I had to work on those things," said Manish. "Mickey Virus" is set in Delhi, and it also marks the debut of Elli Avram who is half Greek and half Swedish. The movie is slated to release Sep 13.